The walls of my office are adorned with posters covered in sticky notes. Multi-colored with a myriad of handwriting ranging from chicken scratch to pristine calligraphy. One poster, in particular, causes me to pause each day. Over 125 supporters gathered at Baltimore Country Club on April 10 to celebrate Calvert’s Presidents’ Circle donors. The evening began with cocktails and hors d’oeuvres, followed by a seated dinner. Nearly 30 Calvert alumni, parents of alumni, former faculty, and current and past grandparents attended a Calvert event at Blakehurst Retirement Community on Monday, April 1. Guests enjoyed drinks and appetizers in the Blakehurst Rotunda while reminiscing about their Calvert years. 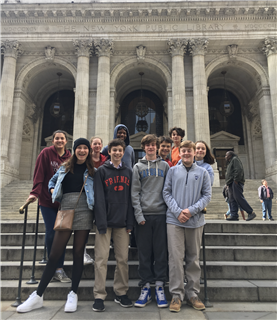 After more than one year of planning and preparation, ten Eighth Grade students attended the Global Classrooms International Middle School Model United Nations Conference in New York City from March 28 to March 30. Nearly 350 parents, alumni, trustees, and friends of the school gathered at La Cuchara on Saturday night for A Night on the Town, a fundraiser for Calvert’s teachers. 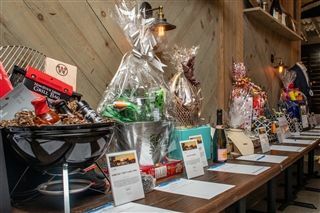 The evening included several raffles and a silent auction with 72 packages and raised more than $59,000 to support Calvert’s faculty program. 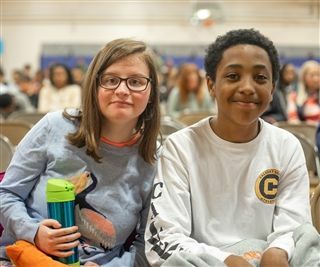 Calvert and St. Elizabeth Cool Schools Plunge Highlighted in "Baltimore Fish Bowl"
Check out this awesome article in Baltimore Fishbowl by our very own Mr. Jay Parker highlighting Calvert School's partnership with St. Elizabeth School for the Polar Bear Plunge. Middle School Musical: Once on This Island Jr.
Saturday night wrapped up a four day run of Calvert’s 5th annual full﻿-scale musical, Once on This Island Jr. A retelling of the Little Mermaid tale, this colorful story is set in the Caribbean and features memorable melodies and lively characters. 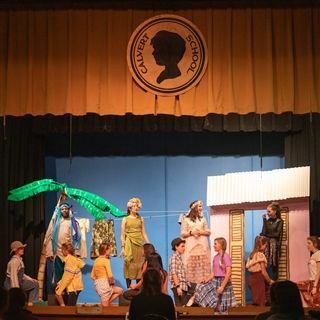 Fifty middle school students participated in total, comprising the cast, stage crew, and those who worked on the creation of sets and props. Students and teachers alike were captivated by the whole experience. “I really liked the effort that a lot of people put into it--the set was beautiful,” says Yasmine Worley. Last week’s trip to Québec City and Montréal was a huge success. 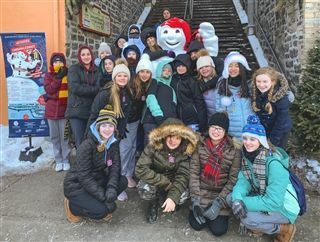 The five-day, four-night trip was open to all current Seventh and Eighth graders and focused on winter adventure and carnival, Canadian and North American history, and immersion in a culture where bilingualism is the norm. 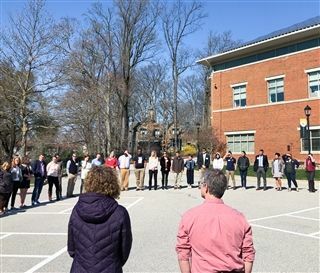 Thirty-nine students participated in the trip, guided by six Calvert faculty members, and an excellent full-time tour guide from Prométour – the premier Montreal-based academic and adventure tour company. It is not uncommon to view adolescence — particularly the middle school years — as a dark and stormy time that parents, teachers, and even adolescents themselves must simply endure. Even within the world of education, those who teach lower and high school students often express bewilderment at their middle school colleagues. 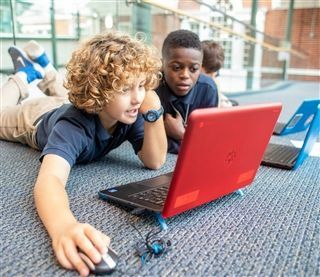 As someone who has worked with middle school students for over twenty years, I think it is important to provide a narrative about adolescence that offers an equally valid, but definitively more optimistic view of the majestic and incredible design of what I will refer to as the middle school brain. Moreover, it is important that we understand how the structure of a well-designed middle school program supports and nurtures its students, and their families, through these dynamic years of development. 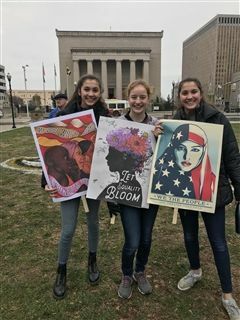 "We have reached a culture of leadership when students inspire other students, a trend that is powerfully emerging at Calvert."